Shop and Support Somerset Baseball at the Same Time! Updated Saturday March 24, 2018 by Somerset Baseball League. When shopping on Amazon, just click the link below and then click the "start shopping" icon. 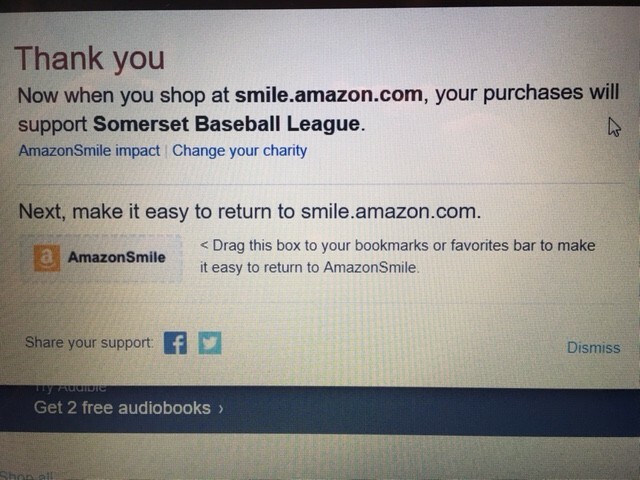 Amazon will then donate a portion of your eligible purchases to Somerset Baseball League. If you'd like to make a separate donation, please contact us at sbl02726@gmail.com. Somerset Baseball League is a 501c3 public charity and your donation goes directly to the league as we rely only on volunteers. Thank you for your continued support.